Single nucleotide polymorphisms (SNPs) have become a very powerful tool for molecular genetics studies. 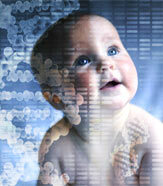 Public databases provide information on over 10 million polymorphisms in the human genome. The candidate gene approach and genome-wide association studies through SNP analysis have opened a new avenue for defining the genetics of complex disorders. However, analysis of large numbers of SNPs is time-consuming, cost-intensive, and requires huge experimental and statistical resources in association studies. We have developed a web-based product that facilitates the processing and statistical analysis of SNP-genotyping data for case-control association studies and provides for custom design, a structured database and practical export layout. Here we describe the software product database and how it helps in high-speed comprehensive SNP analysis.